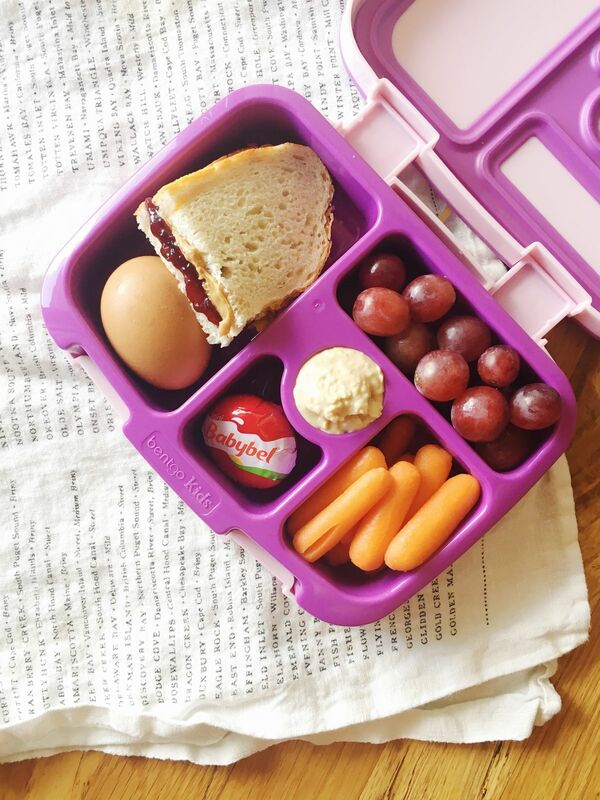 Easy Ways to Rock Their Lunchbox World! Back-to-school is no joke, mamas. Between the school supply lists, the countless loads of laundry (that just never seem to fold and put themselves away...), and finding the perfect backpack, school lunch ideas for our kiddos are often an afterthought. Sure, you knocked it out of the park when you found a lunchbox to match that perfect backpack, but now you need to fill it! Prep ahead by thinking of your child's lunchbox in terms of categories. Ideally, you want to pack a protein, a fruit, a veggie, and a fun snack. Proteins include things like eggs, nuts, yogurt, deli meats, cheese, tuna, chicken, nut butter, and whole wheat pita or bread. Try fruits like grapes, kiwi, pears, blueberries, raspberries, apples, or bananas. Remember to think outside of the box when it comes to fruits! Does your daughter love pineapple? Prep an entire pineapple in a few minutes and it will last the whole week! For veggies, get creative with things like shredded carrots or diced cucumber "disguised" in a tortilla roll-up with honey ham and cheddar cheese. Also, there are dozens of hummus flavors out now - find one that your child enjoys with carrots or pita chips. Roasted sweet potatoes or butternut squash with a pinch of brown sugar and cinnamon is tasty in the fall and winter months! It's nice to throw in a little "treat", too. Think yogurt pretzels, applesauce, chocolate-covered peanuts, or a slice of homemade zucchini bread. Remember to prep what you can, but let the grocery store be your sous-chef! Keep your sanity and buy those baby carrots (instead of washing and cutting your own), individual hummus packets, cheese cubes, and small packets of nuts.